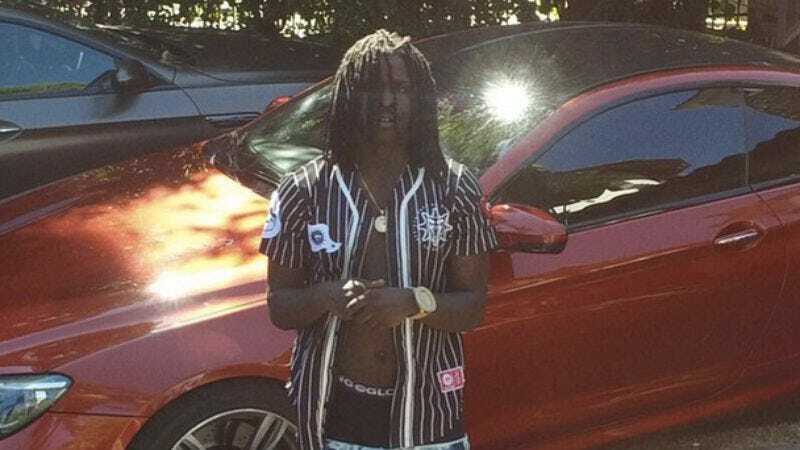 Rapper Chief Keef’s plan to revolutionize the concert business by replacing human performers with holographic replacements hasn’t been going especially well. First, Keef tried to put on a holographic benefit concert in Chicago in July but couldn’t because of some outstanding warrants, so he moved it across the border to Indiana. Apparently Chicago’s authority extends outside of Illinois, though, because the city was also able to convince the concert organizers in Indiana to pull the holographic Keef off-stage (metaphorically) after only one song. The next hiccup in his futuristic concert plan came on Friday night, when Keef was supposed to holographically perform in New York, Chicago, and Los Angeles. According to Billboard, all three performances were shut down early, with the L.A. one (which Billboard attended) sounding like a particularly big mess. For starters, the show had to pull out of its original venue at the last minute after someone reportedly “was hurt” during a meeting. This apparently hurt the event’s attendance at its new location, but that’s not a huge problem, because the Keef hologram was again shut off after only one song. Then a Marilyn Monroe impersonator got on stage for some reason, an organizer told everyone in the audience to meet up at a nearby club, and security guards started forcing people to leave. Billboard tracked down a police officer and asked him what happened, and he explained that Keef didn’t have the proper permits for this holographic performance.